When people start businesses, the reason for the lack of progress is usually because they are wearing too many hats. When they finally get around to hiring people that can do some of the work they didn't have time for, they still end up operating the business in a state of overload. Likewise, this situation plagues many people in company leadership positions as well. And, despite your level of technical skill or experience, there's little you can do that will match the effectiveness of being a great delegator. Why does this happen so much? After all, all you have to do is delegate the work you shouldn't be doing to free yourself up to work on more valuable tasks, right? 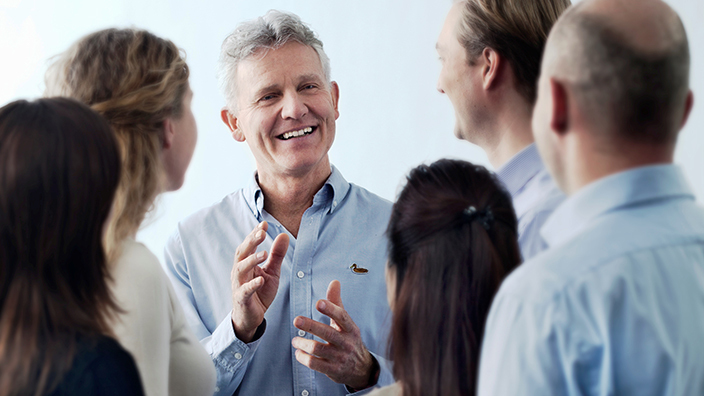 Lack of delegation is a huge problem for many business owners and company executives. For some, its a matter of not knowing how to effectively delegate. For most, however, its a lack of confidence about getting things done through others. In my coaching practice, I've heard just about every excuse in the books as to why delegation doesn't work or isn't right for the moment. "I've been doing it like this for years"; " if I have to explain it, I might as well do it"; "they're just going to make a mess of things so I might as well do it myself". Sound familiar? The list is quite extensive! What's really happening when you hire people to do a job and then you deprive them of really contributing? You short change your ability to make real progress in the areas that could improve your business the most. Here are some of the reasons for being unwilling to delegate to your staff. 1. You don't see yourself as their boss so asking (or telling) them to take on a project seems kind of high minded. As the owner of the company, its your job to set priority, keep things moving and keep an eye on the direction and performance of your company. It's difficult to stay focused on high level strategies when you keep yourself buried in operational weeds. Employees expect to be assigned projects and tasks. What they don't expect is to see the boss doing things they were hired to do. 2. You don't have a plan so setting priorities and delegating responsibility for various goals and projects seems moot. When you know where you are going and you believe in your strategy, you will embrace the help of others to see it succeed. Your staff also wants to succeed. Getting them involved and holding them accountable shows them you care about their development. Not having a plan that you believe in shows them that no one is steering the boat! 3. You are not confident about asking an employee to take on specific responsibilities. A lack of confidence shows itself in your delivery and invites questions from your eager employee that you would rather not get into. Why, because it will expose you as the boss that doesn't really know what be/she is doing. Better keep those projects close to the vest! Use this opportunity to inform your employee about what you want done and invite them to tackle the 'how-to' part. This usually ignites real enthusiasm in the right people. 4. You don't do well with confrontation and if the employee moans about having too much to do, you're dead in the water. As much as you are looking for agreement from the employee, it's agreement on when the project will be complete and what the outcome should be, not whether or not they will do it. Work with them on the desired end result. 5. You're weak on follow up so if you don't stay on them, they will forget it and go back to what they normally do leaving you holding the bag. ​Getting good at scheduling regular check in meetings or update emails will enable you to oversee the progress, evaluation the employee's performance and see what's happening while monitoring the activity from a distance. Managing a team is all about follow up. Not just you following up but setting the expectation that they are responsible for following up with you. What's keeping you from delegating more? When you have employees that are good, dedicated and hungry to succeed, depriving them of taking on some or most of the important duties is an unproductive and demoralizing way to use your most important resource. By learning to delegate effectively, you get much more accomplished (many times by people who can do it better than you) and you reserve your time and focus for the high level strategic things. Extending some of your authority to those who are capable of learning from it is one of the most valued development activities you can engage in. Next to decision making and communicating, delegating is a make it or break it skill for every success oriented executive. Show me a person in a position of leadership that does not delegate and I'll show you an organization that is not benefiting from the plans that drive their success. 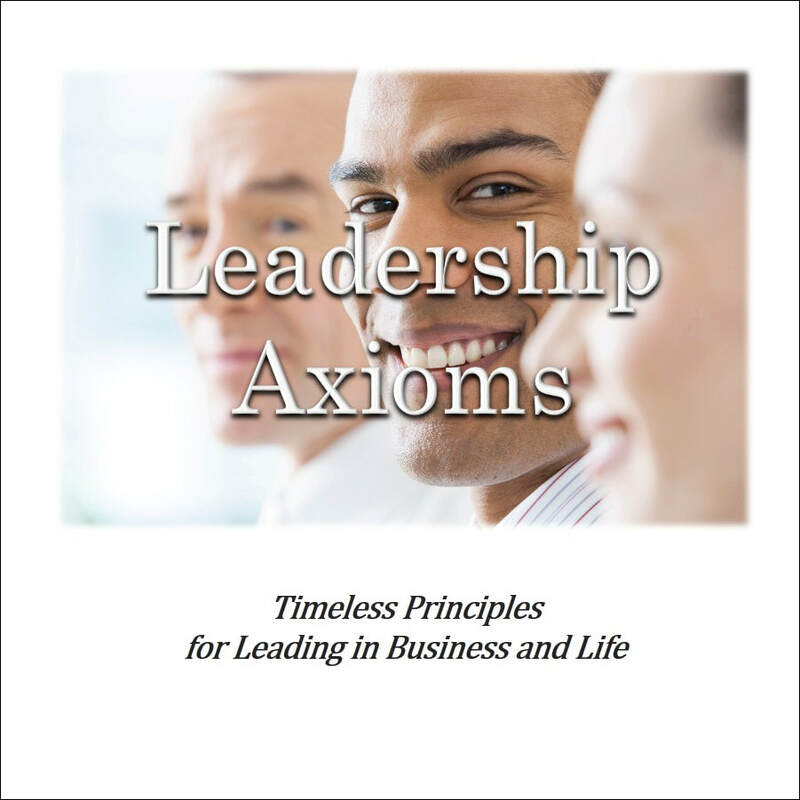 Leadership Axioms is the first of a new series of professional development books that's designed to move you quickly from 'learning' to 'doing'. Take advantage of our free Leadership Assessment! In about 30 minutes, you will learn what to do to greatly enhance your ability to lead your company. Let me know your thoughts. How has delegation helped or hurt your business?